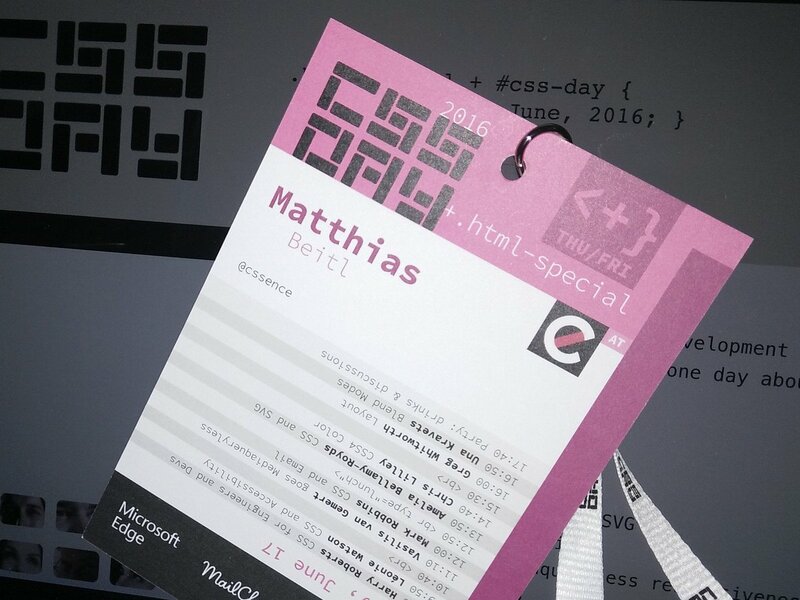 Unlike the HTML Special the day before, the focus on the actual CSS Day was on — wait for it — CSS. And the speakers did not disappoint #mindblown. Posted by Matthias Beitl on June 17, 2016 at 06:08 . Posted by Robert van der Elst on June 17, 2016 at 06:23 . Posted by Ulf Walter-Laufs on June 17, 2016 at 07:11 . Posted by Matthias Beitl on June 17, 2016 at 07:52 . @cssdayconf @csswizardry With these principles, is there a risk of offloading complexity from CSS to other places like JS or HTML? Posted by Matthias Beitl on June 17, 2016 at 07:50 . Posted by Matthias Beitl on June 17, 2016 at 07:59 . Posted by Michiel Bijl on June 17, 2016 at 08:01 . Posted by Matthias Beitl on June 17, 2016 at 08:04 . Posted by Matthias Beitl on June 17, 2016 at 08:19 . Posted by Matthias Beitl on June 17, 2016 at 09:10 . Posted by Matthias Beitl on June 17, 2016 at 09:12 . Posted by Matthias Beitl on June 17, 2016 at 13:18 . Posted by Chris Lilley on June 17, 2016 at 14:21 . 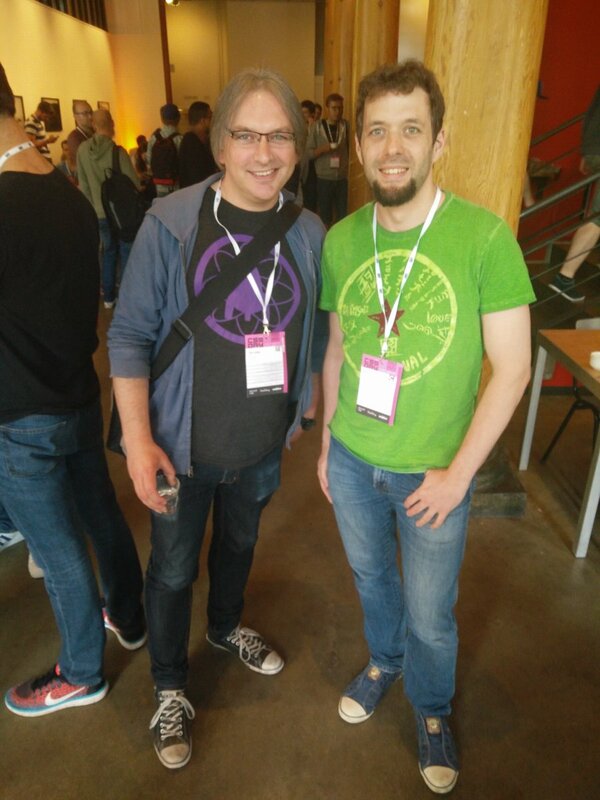 @cssence @cssdayconf We wanted to have fallback color specifiable in the same rule, but you could do that. Posted by Chris Lilley on June 17, 2016 at 14:23 . @svgeesus @cssdayconf Thx! And both ways would behave identically in case the color profile has not been loaded yet? Posted by Matthias Beitl on June 17, 2016 at 14:34 . @cssence @cssdayconf if it has not loaded you would get the fallback color. Posted by Chris Lilley on June 17, 2016 at 14:40 . 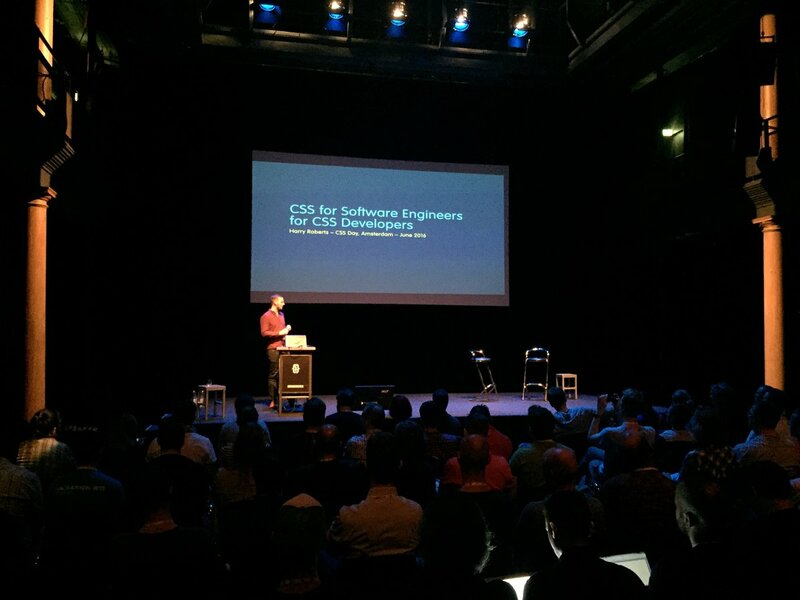 Please help me make a list of good grass-roots European front-end conferences. Which one(s) do you like in particular? Posted by Peter-Paul Koch on July 18, 2016 at 11:39 . 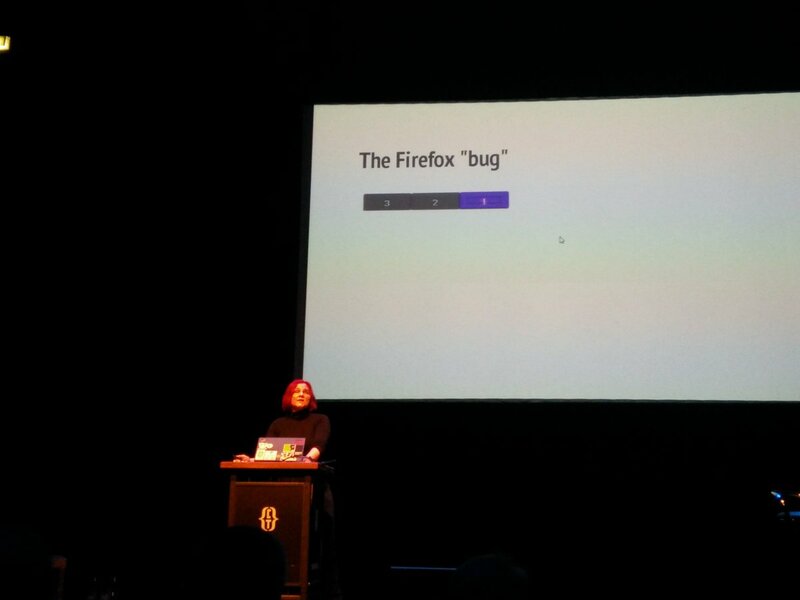 @ppk @cssdayconf of course. But you know that. Posted by Matthias Beitl on July 18, 2016 at 15:26 . Published	on June 17, 2016 . Last revised on December 6, 2016 .